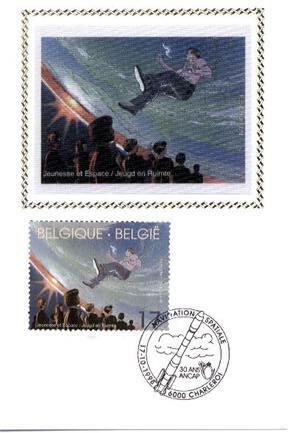 Youth and Space is a stamp created by François Schuiten. Issued on 17th October 1998. 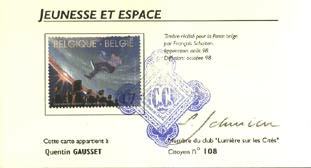 The theme is the 14th World Congress of the“ Association of Space Explorers' (ASE) in 1998 in Belgium. It is held from October 19 to 23 under the High Patronage of HM King Albert II. A hundred astronauts from the USA, Russia, Europe and other countries are expected to participate in this conference. The ASE will encourage the exploration of space in order to get to enrich human life, to bring nations closer together, and to promote science, technology and intellectual curiosity and stimulate the expansion of knowledge. Astronauts want to share their experience and emphasize the importance and benefits of space and space exploration. They want to promote education by the teachers support and to motivate students. They want an understanding of our planet and the limits of its natural resources promote environmental awareness and stimulate the international cooperation to encourage. 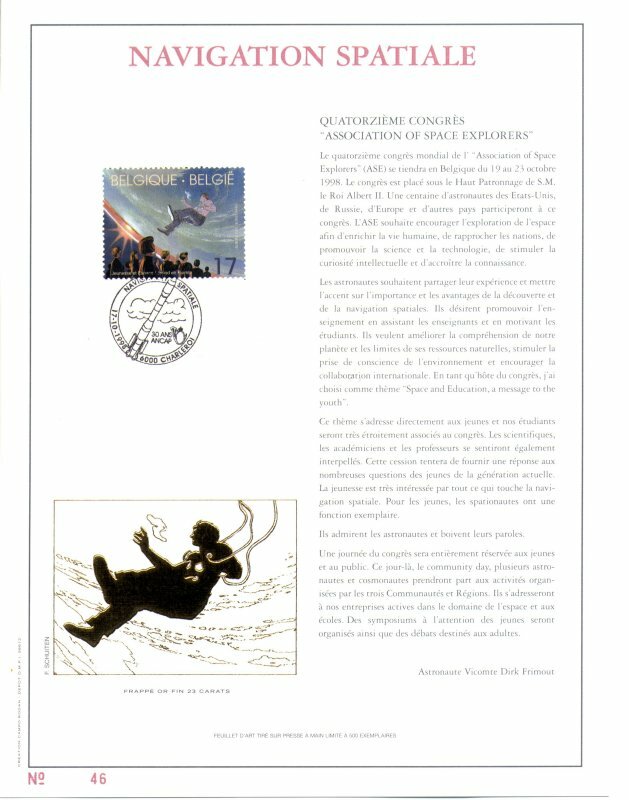 For the creation of this stamp François Schuiten asked the Belgium astronaut Dirk Frimout for help.